Are you a boater looking for a low cost waterfront home in the Gloucester VA area ? 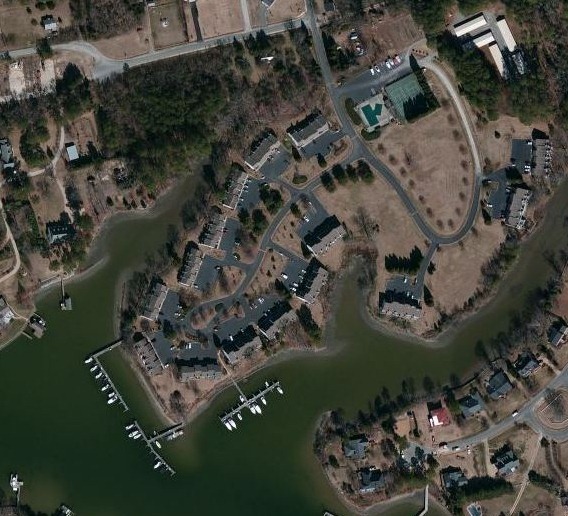 Dockside Condos in Gloucester VA could be the answer. With recent sale prices under $200k for townhome style condos this is one of the most affordable waterfront opportunities around. With a very low turnover rate its not often you see condos sold in the neighborhood. Most homeowners prefer to stay put since this is their dream location. On the water, low cost, low taxes, close proximity to Gloucester, Williamsburg and Newport News. Dockside condominiums are Gloucester county’s only waterfront condominiums. Community amenities include deeded deep water docks, swimming pool, tennis courts, and available separate storage units, community garden plot . Dockside Condos offers 2 & 3 bedroom condos located near Hayes in Gloucester Virginia overlooking the beautiful Sarah’s Creek Dockside Condos were built in the mid to late 1980’s and offer expansive 2-story floor plans with square footages ranging from 1056 to 1700 +.. Priced from the $200’’s, .Some of the condos offer deeded deep water boat slips. This is the perfect year round or weekend retreat. Peaceful Sarah’s Creek views, Most of the units are two bedroom 2 bath , there were a few three bedroom condos built. Construction started in 1983 and finished in 1987. The popular Rivers Inn restaurant is only a five minute boat or car ride away. Size Range: Condos in this neighborhood are between 1056-1700 square feet. Nearest Grocery Store: Farm Fresh, Food Lion are both very close. HOA fees are only $280 monthly. Taxes: Average: $1060 annual ( a super low rate of $0.58 per $100 assessed value) one of the lowest in the area. Gloucester Point Beach: Gloucester Point Beach Park is located on the bank of the York River near where it flows into the Chesapeake Bay. The park offers a large, shady, and grassy area with picnic areas and a shelter. The swimming area and sandy beach are perfect for enjoying the beauty of the Bay while sunbathing, wading, or building sand castles. The park has bathrooms, a picnic shelter, grills, sandy beach, fishing pier, boat ramps and a seasonal concession stand. Historic Gloucester Village. It’s a colonial era small town get-away from the average tourist destination. The shops, restaurants, historical sites, parks and annual events are sure to satisfy the entire family. Shop & Dine on Main Street: From fine wine to boutique fashions, Main Street has it all. Restaurant options range from family style, seafood to ethnic choices. Shop for unique gifts, women’s and children’s fashions and explore local art. Beaverdam Park: Beaverdam Park offers the only public freshwater fishing on the Middle Peninsula. Jon boats & canoes can be rented or bring your boat with electric motor to one of the boat ramps. The 635 acres of water offers great fishing & paddling. Virginia fishing licenses available at the Ranger Station. Take a walk on the beautiful nature trail or enjoy miles of multi-use trail (for hikers, bikers & horseback riders). If you are looking for a new workout stop by the exercise trail. The park has two shelters, a lodge & amphitheater to fill your reunion, party or meeting needs. Programs on owls, snakes, night canoeing and more for youth, adults & families are scheduled throughout the year. Rosewell Ruins: One of colonial America’s grandest mansions, Rosewell was built 1725-1738 and gutted by fire in 1916. Four massive chimneys, one wall, and a vaulted cellar are now silent witnesses to history. Stabilized, but not rebuilt, Rosewell allows visitors to inspect 18th-century brickwork from a perspective that no intact building can offer. The Rosewell mansion was the centerpiece of a 3000-acre plantation where slaves grew tobacco and grain. Countless artifacts now lie beneath its soil. 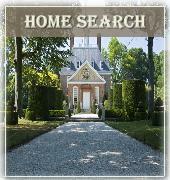 While preservation and archaeology are ongoing, there are no plans to rebuild the mansion. It is left to the imagination to reconstruct it as known to Gov. John Page and his friend Thomas Jefferson. Inn at Warner Hall: Come experience the romance and history of the Inn at Warner Hall, located on the waterfront plantation created in 1642 by George Washington’s great-great grandfather. Plan your Virginia bed and breakfast vacation to this wonderfully restored mansion, one of the most elegant and historic country inns on the East Coast. Imagine your vacation, a wonderful wedding, a family reunion or business conference on this exquisite 38 acre Chesapeake Bay retreat. Come savor the peace and pleasures of country life and fine dining. Our luxurious Virginia waterfront accommodations include eleven guestrooms, beautifully furnished with a combination of period antiques.